Today I cooked an aromatic chicken curry. I can't eat too spicy so this is on the mild side. It won't make you reach for a drink with every spoonful nor numb your tongue. This is not of any particular style of curry but just how I cook curry. I am not very good with remembering a lot of ingredients so there's only a few here. The first stage of cooking is crucial to the success of the dish. If you sauté the ingredients well in the beginning, the sauce and the meat will taste great. Patience for the first few minutes is required but the rest is very easy. The only way for me to know if the food tastes right is if people can't wait for me to take the photos so they can eat the food. 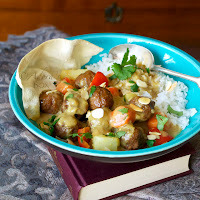 This curry makes one pot but I just had to take a bit for the shoot so that the rest can be eaten by the hungry crowd. Chop the garlic and ginger in a food processor. Cut the onions into big chunks and chop in the food processor with the garlic and ginger. Heat up a big pot and add the cooking oil and butter. This amount of fat is necessary to get the desired taste but it can be skimmed off at a later stage. When hot, add the chopped garlic, ginger and onions. Add 1 tsp. of salt and stir. Cover the pot with a lid and lower the heat to soften the onions. This will take about 10 minutes. When the onions have softened, take the lid off and increase the heat a bit to caramelize the onions. You have to stir this to prevent it from sticking. This stage is very important. You have to do this well as this will make a difference to your cooked dish. The taste of softened onions is very different from caramelized onions. It is ready when the onions are soft and light golden brown in colour. Mix the ground coriander, chilli powder, paprika and curry powder in a bowl and add 3 tbsps. water to make a spice paste. Add this to the pot, together with the cinnamon stick and star anise. Stir for 1 minute until fragrant. Add the chicken, brown sugar and anchovy paste and stir, on high heat, until the meat changes colour. Add the chopped tomatoes and water. Bring to a boil and simmer for about half an hour. Skim off most of the fat that floats to the surface. Add the potatoes and coconut milk and the last tsp. of salt. Simmer until the potatoes are done. 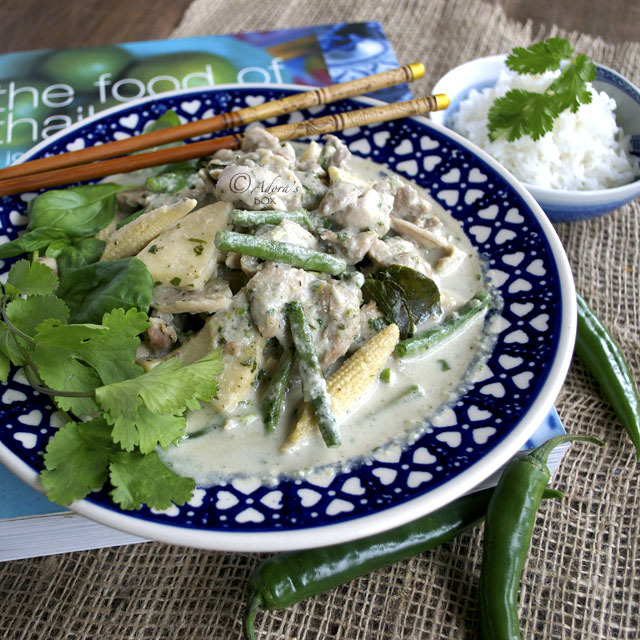 I serve this with rice, an assortment of flat breads and cucumber raita. Squeeze out the juices from the cucumber with a clean kitchen cloth or a potato ricer. Mix all of the ingredients together. We are curry lovers too...and I can say that your version of chicken curry is outstanding, Adora! Serving it with flat breads and cucumber raita is an awesome idea! I immediately bookmarked it! Japanese loves curry too. I love to make the curry from scratch (unlike Japanese curry cubes) so I'm going to try this. I need to buy star anise first... Thank you so much for sharing this recipe (all of your recipes!!). Lunch time here and I'm super hungry. Delicious photo's I love this recipe! Great curry dish, Adora! 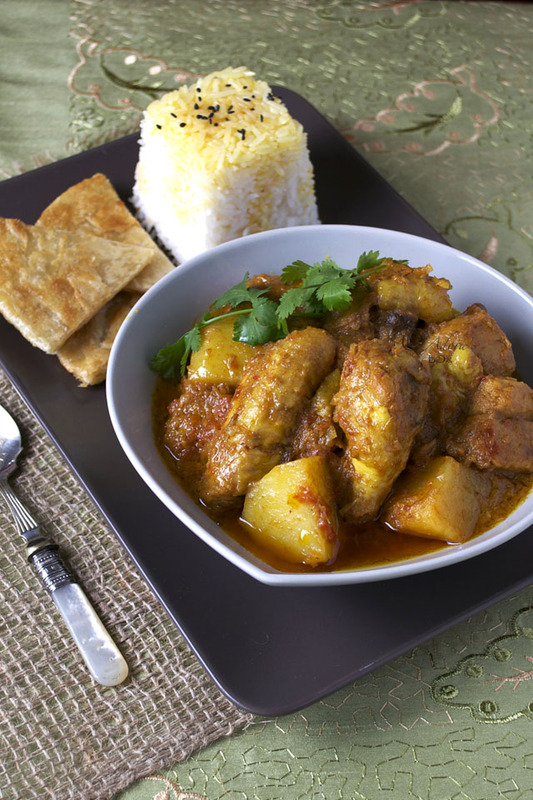 Curries are always a success at home, and your recipe is a definite winner. Will make this next time. I was admiring the sinigang on your FB feed then scrolled down to this curry. Now I can't get both out of my mind. I put my husband and me on a soup/salad diet for a week--we're on day 3 so you can imagine how intense the craving is for great food like this. I have all the spices in my pantry, too. Best put this on the to-make list. Thanks, Adora! 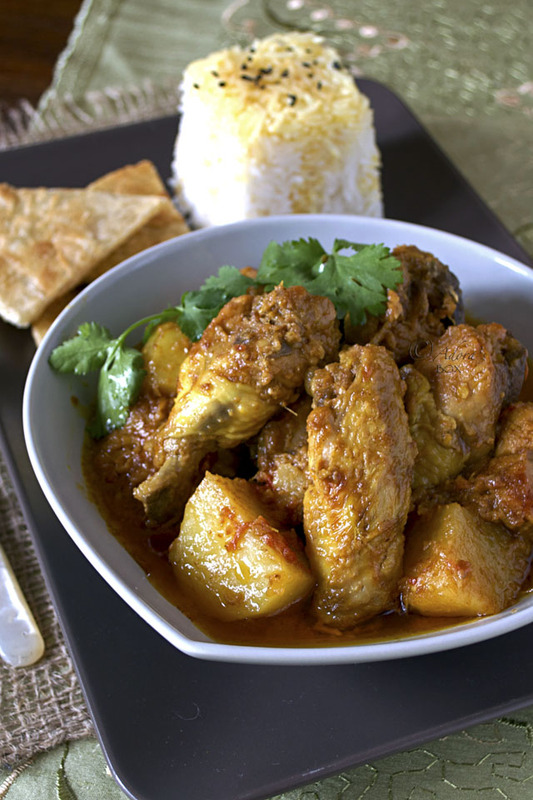 Ohhhh...wonderful chicken curry! Next time I have chicken I'll difinately make this. Your photo's are as stunning as always. Your pics are incredible. So clean! The food really shines. I like the plating of your curry. You had be at curry! This looks and sounds amazing. 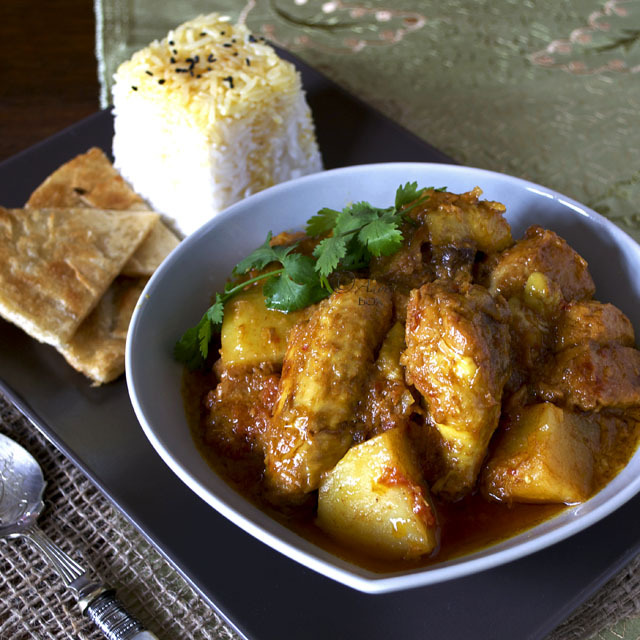 Some big bold flavors here with the curry, cinnamon, and star anise. 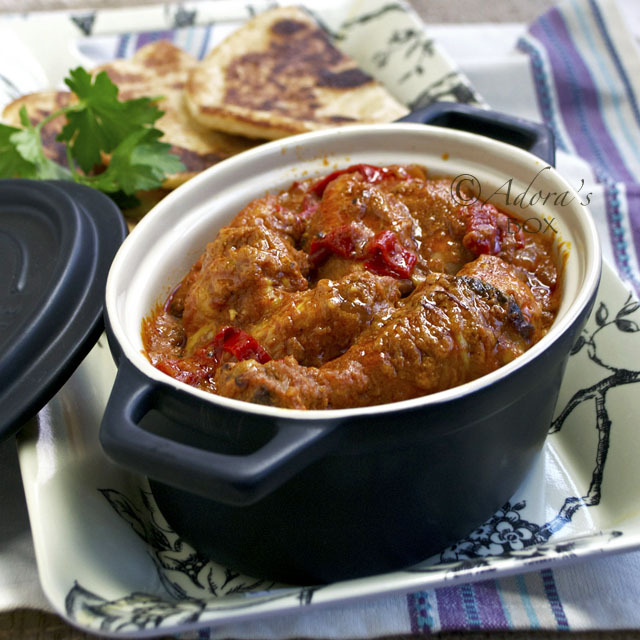 Wonderful curry dish. Oh, love those chicken!! They look very good! I often make curry dishes too, but so far I`ve never added tomatoes in them. Will try next time! Thanks for the recipe!